Doing this post reminded me of my favorite yellow art installation in Paris and an old blog post. 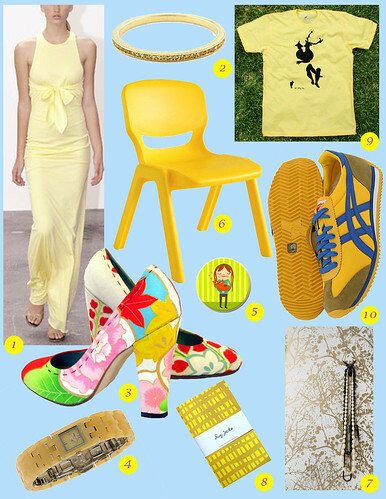 * Check out Trust Your Style’s sunny side up post…lots of pretty yellow. And while you’re there check out her post about my free valentines cards. I keep thinking of that song I used to sing as a kid “love it something if you give it away, it comes right back to you…”. Love that one. Artists are Mammals: Mammal Magazine by mammalian illustrators/bloggers.